Nick Deets focuses his practice in the areas of personal injury, medical malpractice, wrongful death, and products liability on behalf people who have been seriously injured or lost a loved one as a result of the negligence of others. He has tried more than 100 jury trials to verdict. Nick is a Fellow and a member of the state committee of the American College of Trial Lawyers and a Past President of the Indiana Chapter of the American Board of Trial Advocates ("ABOTA"). He is AV rated (highest possible rating for preeminent legal ability and ethics) by Martindale Hubbell, the national directory of attorneys. 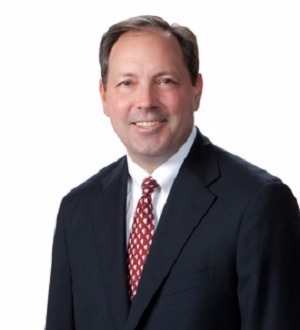 He was named the Trial Lawyer of the Year by the Indiana Trial Lawyers Association in 2010 and the Best Lawyers, Lawyer of the Year, Mass Tort Litigation/Class Actions-Plaintiffs in 2017. He has been recognized as an Indiana Super Lawyer by Indianapolis Magazine in every year since 2006 and has been listed in Best Lawyers in America, Personal Injury Plaintiffs, in every year since 2010. Nick is a graduate of Purdue University (B.S.I.M., with honors, 1989) and the Indiana University School of Law, Bloomington (J.D., with distinction, 1993). He was admitted to the Indiana State Bar in 1993. He is admitted to practice before both federal district courts in Indiana, the United States Court of Appeals for the Seventh Circuit, and the United States Supreme Court. While in law school, Nick was the managing editor of the Journal of Global Legal Studies and was a member of the ABA Moot Court team. He also clerked for the Honorable Michael S. Kanne of the United States Court of Appeals for the Seventh Circuit and the Chicago law firm of Coffield, Ungaretti & Harris. Upon graduation from law school, Nick accepted a position as an associate with ICE MILLER in Indianapolis where he worked from 1993-1995. In 1995, Nick left ICE MILLER and returned to his hometown of Lafayette, Indiana to practice law with his father, Charles R. Deets, III. In 2000, Nick returned to Indianapolis and joined the Hovde Law Firm (now Hovde Dassow + Deets). He was made a partner in 2001. An avid golfer, Nick received the IHSAA Keesling Mental Attitude Award in 1985 and attended Purdue University on a full-ride golf scholarship. While at Purdue, Nick was twice named Academic All Big 10 and received the Purdue Distinguished Scholar-Athlete Award in 1989. He is a Member and served as President of Crooked Stick Golf Club from 2013-16.